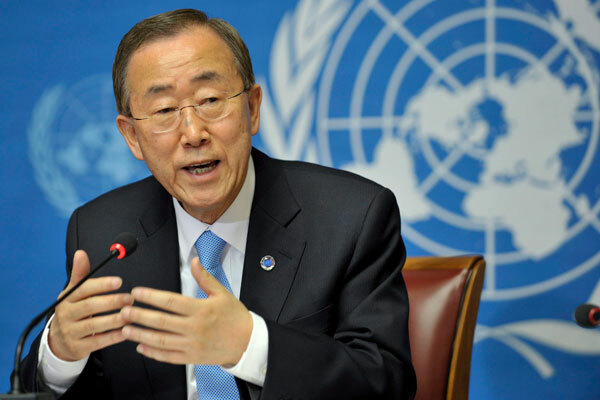 UNITED NATIONS, Aug 8 (APP): UN Secretary-General Ban Ki-moon has strongly condemned Monday’s terrorist attack at the Civil Hospital in Quetta, and called on Pakistan to bring the perpetrators to justice. “The targeting of mourners at a civilian hospital makes the attack particularly appalling,” the UN chief said in a statement read out by Deputy Spokesman Farhan Haq at the regular noon briefing. “The Secretary-General urges the Government to do its utmost to ensure safety of the population and bring to justice the perpetrators of today’s attack,” the statement said.